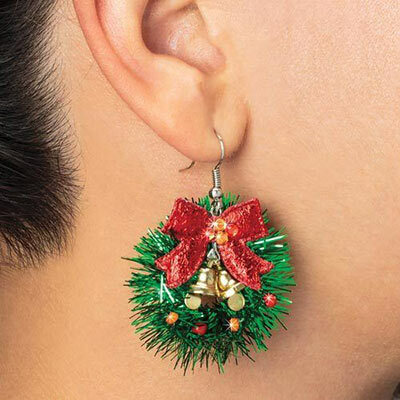 These charming Christmas Wreath Earrings look like the real thing! Cleverly crafted from green tinsel, these cute wreath earrings feature red bows and faux gem ornaments. French wires. 2"l.